At NMIT, our Vision is to create a future focussed learning organisation that prepares work and world ready graduates. We recognise the role you, the agent, has in helping us to achieve this. Through quality partnerships, we strive to provide our learners with a positive experience from application to graduation. 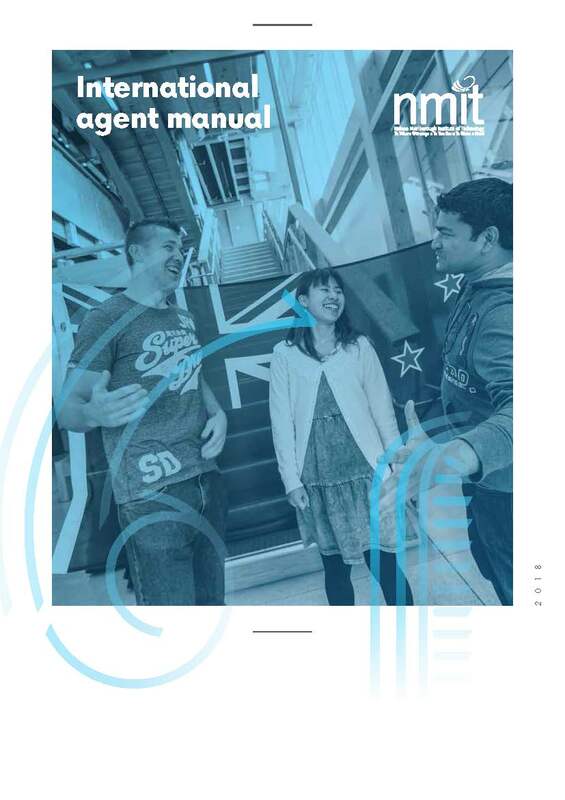 This guide contains the essential need to know information about working with us as an International Agent. It outlines important points about what makes NMIT special, our programmes of study, your responsibilities as an agent and details about our processes.